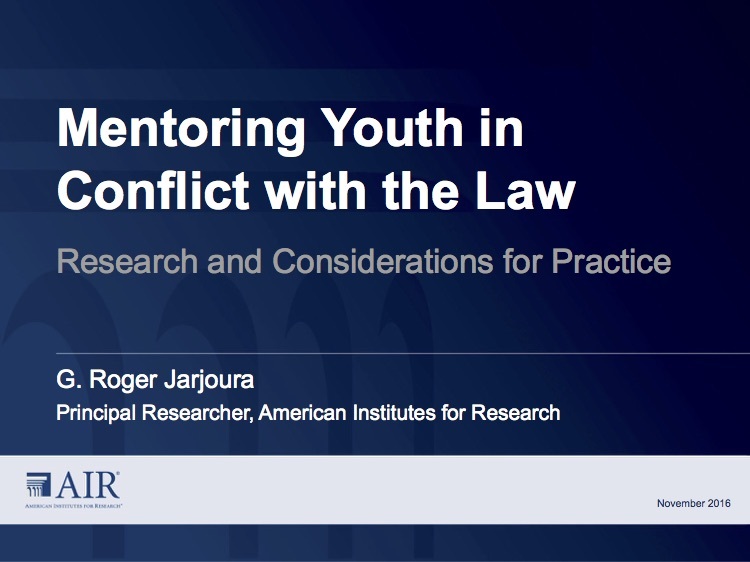 While mentoring is an evidence-based practice with regard to preventing delinquent involvement among at-risk youth, the research on the use of mentoring with juvenile justice-involved youth has often found inconsistent results. It is common to find youth mentoring programs that avoid or resist serving youth in conflict with the law. It is also, unfortunately, common to find programs that tried, and failed, to deliver effective mentoring programs for this population. This presentation will cover the key aspects of the design of mentoring programs to effectively serve youth involved in the juvenile justice system with particular attention to the recruitment, training, and ongoing support for mentors working with these young people. With a combination of research, theory, and examples from practice, the session will feature an interactive experience that prepares the audience to apply what they learn to their own context.